Anglers are now able to Football Jig fish utilizing a more finesse approach without sacrificing feel and depth. The tungsten compound head is 30% smaller and harder than lead providing extreme sensitivity. The hand tied 100 strand skirt is produced from Keitech's exclusive SR-40 silicone. 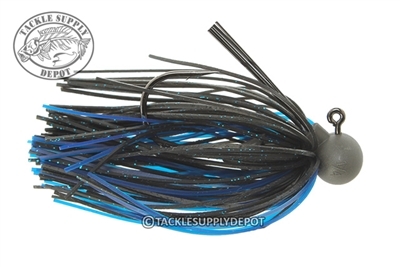 This super soft, fine cut material provides remarkable life-like action; comparable action to traditional flat rubber skirted jigs. The 10 strand fiber weed guard is hand glued to ensure perfect alignment to the custom Gamakatsu 2/0 hook, providing snag resistance without sacrificing hook setting ability. 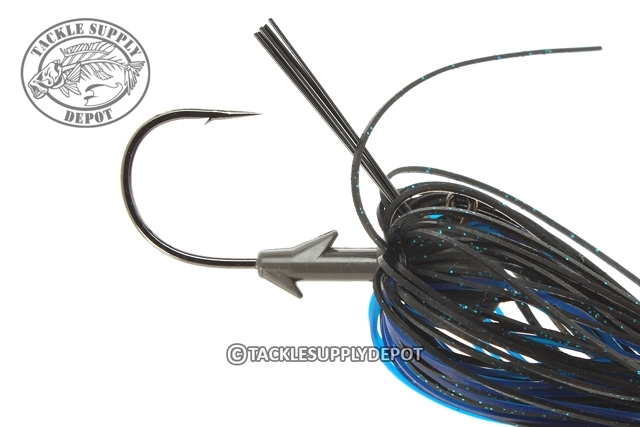 The Version 2.0 jigs feature a redesigned and improved bait keeper to hold trailers more firmly as well as an unpainted "Matte Grey" finished head.